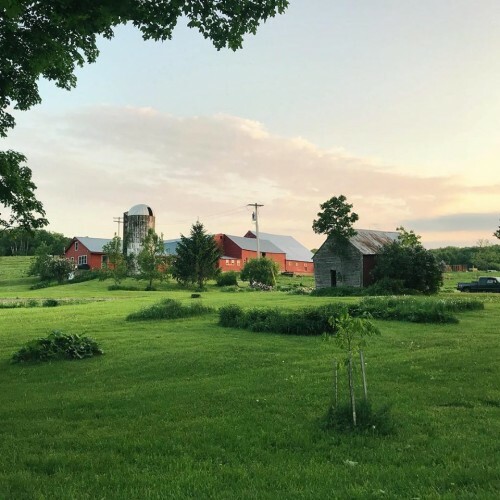 Berle Farm is in Hoosick NY where we farm for the nourishment of our region. We have been certified organic since 1997. We work for the health of our soil, animals, trees and wildlife and are thankful for the products we obtain through farming. 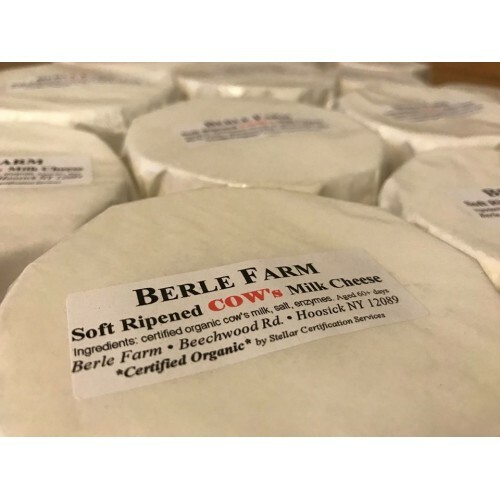 We milk fifteen cows and produce yogurt and aged raw milk cheeses. Our dairy products are available for delivery through distributors, retailers and special arrangements. We put an abundance of care and attention into the flavor and quality of our products. 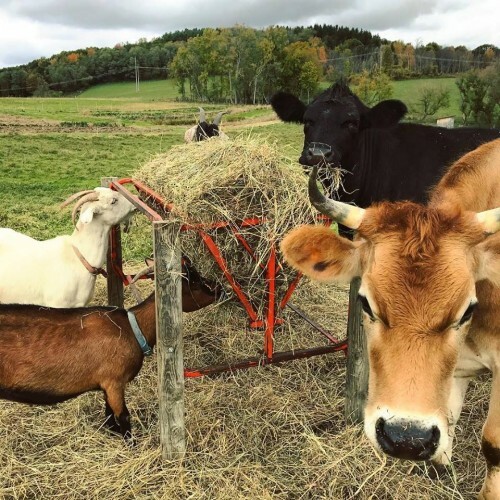 The food from Berle Farm reflects the love and stewardship of open land and agriculture. In summer 2019 we will be opening an on site Farm Store where all of our products will be available and all will be welcome. Please stay tuned for store hours. 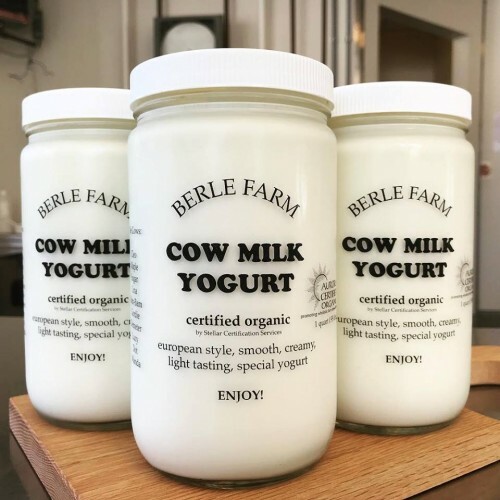 Products: Certified Organic Aged Raw Milk Farmstead Artisanal Cheeses: BerleBerg, HayMaker, Lovely Young, Whole Milk Yogurt packed in glass jars. Certified organic cattle vegetables, fruit, CSA, holiday gift boxes for mailing our yummy cheeses and special goods. 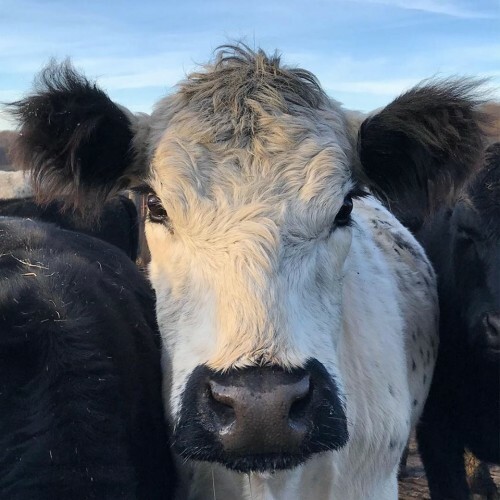 Where to Find our Products: Farm Store opening in 2019, Distributors for Dairy products are Regional Access and Marty's Local. 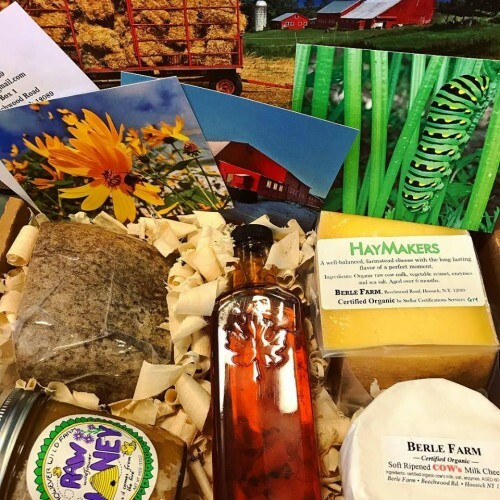 Special delivery for Cheese and Yogurt is available for stores and restaurants throughout Berkshire County Mass. VT and the greater NY area. 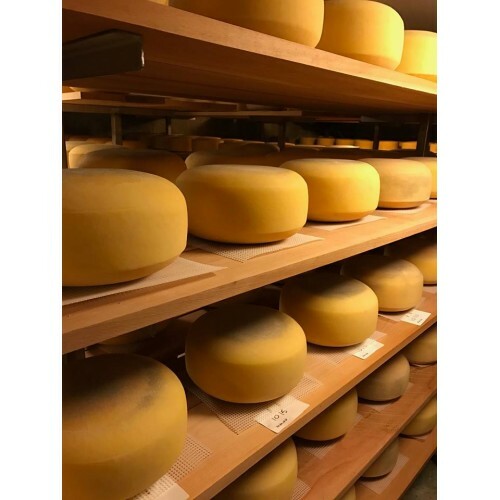 Wholesale Information: Cheese is available in 11 pound wheels, Half wheels and cut vacuum sealed packaging with a 10 piece minimum. Yogurt is available in 1 quart jars in 12 count cases March through December. 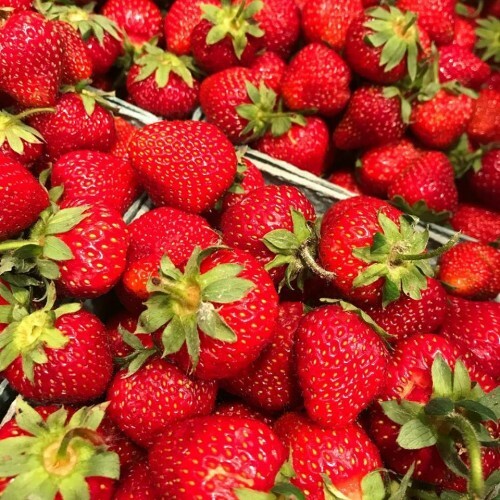 Wholesale orders can be purchased through Regional Access, Marty's Local or email BerleFarm@gmail.com Wholesale orders can also be picked up at Berle Farm.